With options available today to achieve immediate, delayed or site-specific release, specialised capsules now play a functional role in meeting clinical needs for certain plasma time-course profiles, avoiding site-specific degradation in the GI tract and, in some cases, improving bioavailability. 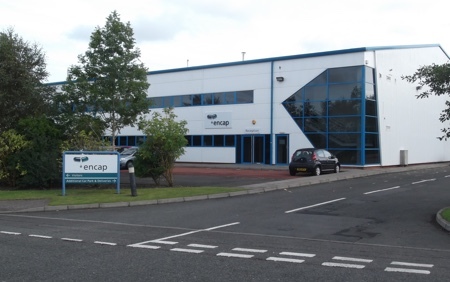 HPMC as the new standard capsule polymer: Hypromellose-based capsules meet the market trend towards non-animal-derived alternatives to traditional gelatin capsules. The ability to withstand temperature excursions and meet religious and dietary requirements make HPMC the preferred choice for new pharmaceutical product development. The introduction of HPMC capsules manufactured by thermogelation provides a means of eliminating gelling agents, a cause of variable in vitro dissolution. This advancement gives HPMC capsules pH-independent disintegration and has been shown in a specific human PK study to provide bioequivalence comparable with gelatin capsules. Acid-resistant capsules for health and nutritional supplements: These HPMC capsules incorporate a gelling agent to achieve enteric properties, allowing for the protection of sensitive ingredients from the acidic environment of the stomach and complete dissolution in the intestine. They also provide sufficient taste-masking and acid-resistance to prevent gastric reflux for applications such as fish oils, and have become the solution of choice for numerous probiotics, herbal or mineral formulations on the market today. Full enteric protection for pharmaceutical applications: Enteric capsule technologies that comply with EP, USP and JP requirements for enteric/delayed release dosage forms provide the first viable alternatives to functional coating. These intrinsically enteric capsule technologies incorporate approved HPMC-based enteric polymers into the capsule shell. 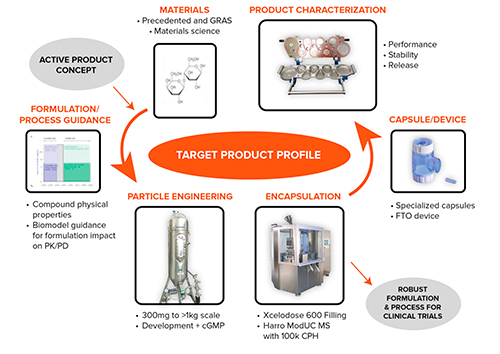 This integrated enteric functionality built into the dosage form enables the rapid development of prototypes for formulation screening and in vivo evaluation, eliminating the need for functional coating process development, scale-up and validation. The choice of the most appropriate intrinsically enteric capsule technology is driven primarily by the molecule’s characteristics, including the level of acid and heat sensitivity. One technology is specifically designed for very acid-labile and heat-sensitive applications, including biomolecules such as peptides, nucleotides, vaccines and live biotherapeutic products. Enhancing bioavailability: HPMC-based capsules can also play a role in addressing poor bioavailability. These capsules can interact with poorly soluble APIs, leading to a lower crystallisation rate in the GI tract, which can be important in situations when there are supersaturated APIs in the intestine or when dosing either a high-energy salt form or a weakly basic API. In such cases, the degree to which HPMC capsules can affect in vivo performance by helping to maintain supersaturation — by inhibiting crystallisation — depends on the specific application. New HPMC-based capsules, combined with a range of innovative formulation strategies and processing technologies, offer a means of addressing the challenges of today’s APIs as well as the requirement for rapid product development. 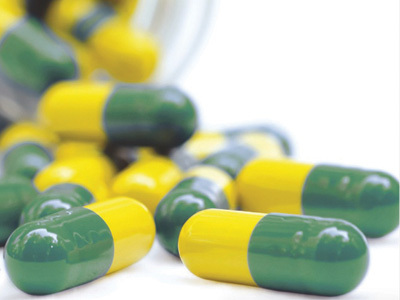 The expanding range and application of HPMC-based capsules and encapsulation options are meeting demand for increasingly specialised and patient-centric dosage forms.